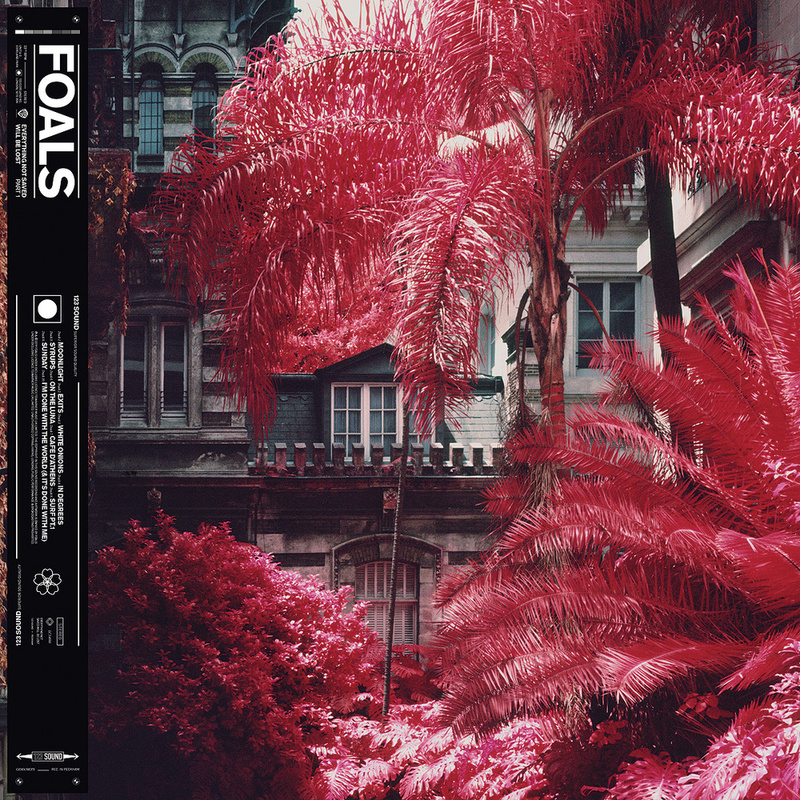 Four albums into a 12-year career that had taken them from sweaty house-party gigs to sold-out arenas, Foals decided to have a rethink when it came to making their fifth record. Exhausted after the world tour to support 2015's What Went Down, and temporarily sick of making music altogether, the Oxford-formed band's frontman Yannis Philippakis couldn't even face a guitar for nine months. Then, in late 2017, he rented a production room in 123 Studios in South London, close to his Peckham home. There he slowly began creating sketches for what would in fact become Foals' fifth and sixth albums, the two companion releases Everything Not Saved Will Be Lost (Part 1 out now, Part 2 to follow in the Autumn). By the time production proper began, the long-time quintet had been reduced to a four-piece following the amicable departure of bassist Walter Gervers. Instead of seeking a replacement, Philippakis and his bandmates — guitarist Jimmy Smith, drummer Jack Bevan and keyboard-player Edwin Congreave — decided to carry on in this new configuration. In the studio, synth bass lines now became more of an option on certain tracks, while the bass guitar roles were filled by either Philippakis or Congreave. "One aspect of Wally leaving was that it meant that these roles in the band became a bit more fluid," says Philippakis. "Having Edwin taking over bass duty in the live room and opening out the bass lines in certain tracks was great. It created a different energy in the room that I think filters into the album." 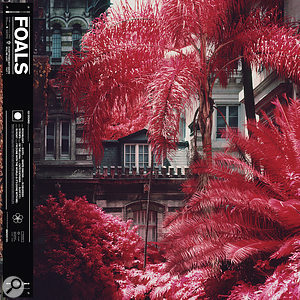 On previous Foals albums, the band had worked with producers Dave Sitek, Flood, Alan Moulder and James Ford, but they decided to self-produce Everything Not Saved... Yannis Philippakis took on the primary production role in the band, but admits that it took him a while to become comfortable with this. "I was quite reluctant, to be honest," he says. "It was more something that was driven by Jack in the band, cause he just thought that it was time for us to try and go it alone in a way. There'd been a feeling in the band that we'd made a number of records and we'd never really got to scratch that itch of what it would be like if we saw everything through to the finish line on our own. "The desire with this one was to explore new textures, without somebody coming in and moulding or polishing something. We wanted it to be a freer expression of the band that we are. Giving ourselves time was the big one and allowing ourselves the space to make mistakes. 'Cause, y'know, sometimes by taking the wrong turn when you're recording, you can end up in the right place." 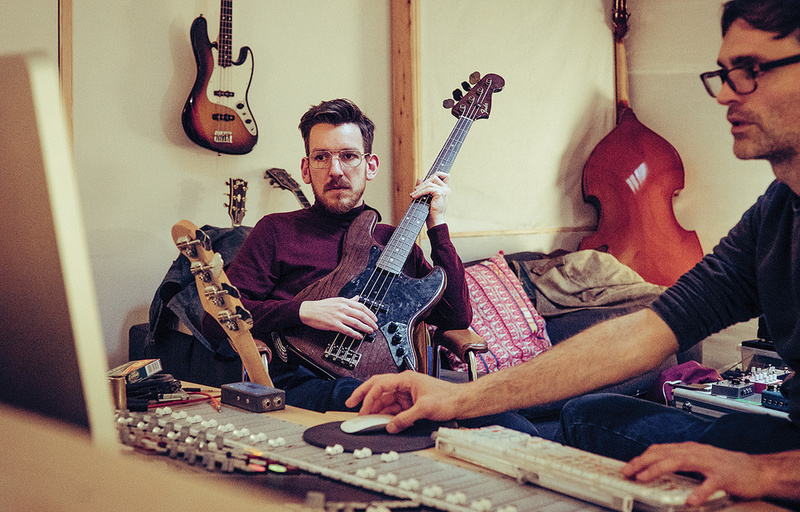 Following the departure of bassist Walter Gervers, bass duties were handled jointly by Yannis Philippakis and Edwin Congreave (left). 123 Studio owner Brett Shaw (right) engineered and co-produced the album. 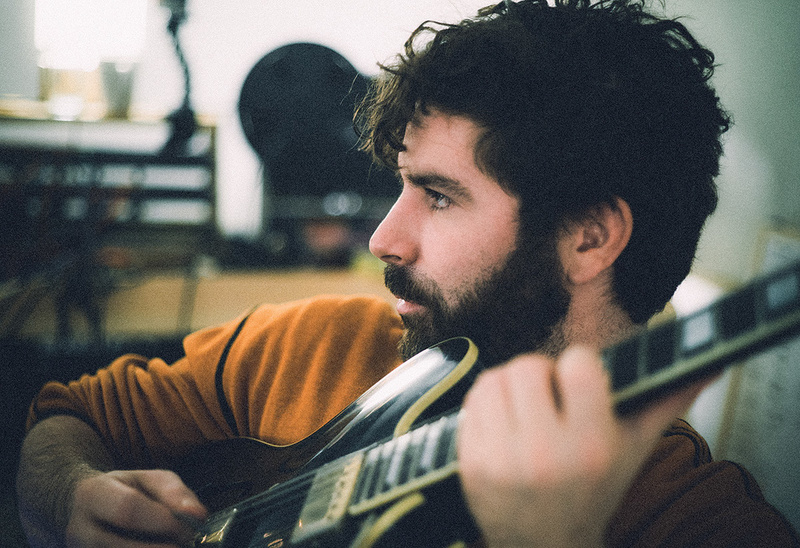 Alone in his production room at 123 Studios at the beginning of the making of Everything Not Saved..., Yannis Philippakis encountered some very basic problems, which led him to recruit the studio's Brett Shaw as engineer and co-producer. "In general, I'm a Luddite," laughs Philippakis. "Like, I've only just learned how to use Logic. Every time I'd turn stuff off in that writing room, I had to get Brett to come and help me anytime I'd restart. "One of the reasons why I got this small writing room in Brett's studio was to learn how to use Logic, 'cause up until then, for the last decade I'd been recording stuff just straight onto a loop pedal that I couldn't extract the layers off, or actual cassettes, or into my phone. The problem with it is not only is it unusable in many ways, but also, I fall in love with the sound of it. Then you're faced with the sort of digital starkness of things that are recorded 'properly'. That's been one of the things that we've battled with as a band; we fall in love with the grittiness of dirty recordings, whether that's four-track or on loop pedals that are oversaturated."